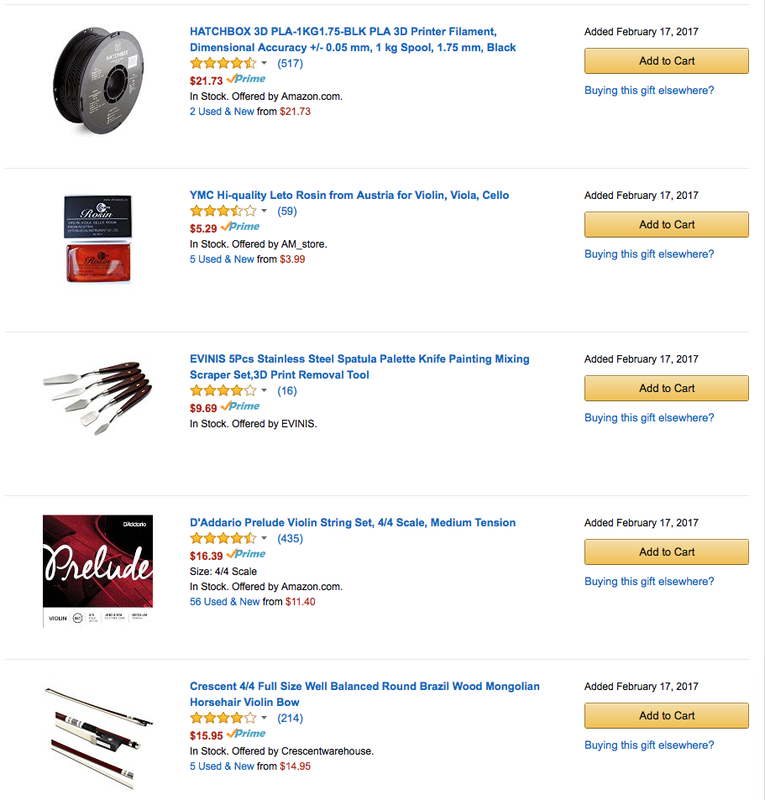 They have a great list of what you need on the site, while I had existing filament I decided to just go ahead to purchase everything they listed as an exercise and created an Amazon Wishlist to make it easier if you want to do the same. While I wait for my filament and other materials to arrive, I thought I'd get to work on figuring out how to print this crazy thing. I figured I could scale it down to 50% and see how it does. I happen to use Simplify3D which is a great slicer, but any will do. One of the neatest features it has is the ability to use different slicer settings or parameters for different parts. As this Violin is made up of 5 parts, each with it's own settings, you would normally have to print them all out separately... However with Simplify3D I can give each part different settings (layer height, perimeters/walls, infill) and batch them out all at once. Any slicer can scale, just do all the parts at 50% across all axes and send it to the printer. I also feel that Simplify3D produces a better result overall, but that's a subjective observation. So far so good. There were just a couple of minor fit issues due to the scaling process but I don't think they will be present in the full-size print. I didn't do any of the post processing steps like sanding and the like which will make things fit better, I'll save that for the full-size version. Next week we will be printing the full-size version as well as adding the strings, tuner, carbon fiber rod and trying to play something...or at least make some noise. Can anyone play the violin?